International Design Community Commands Attention at Toronto Design Show. 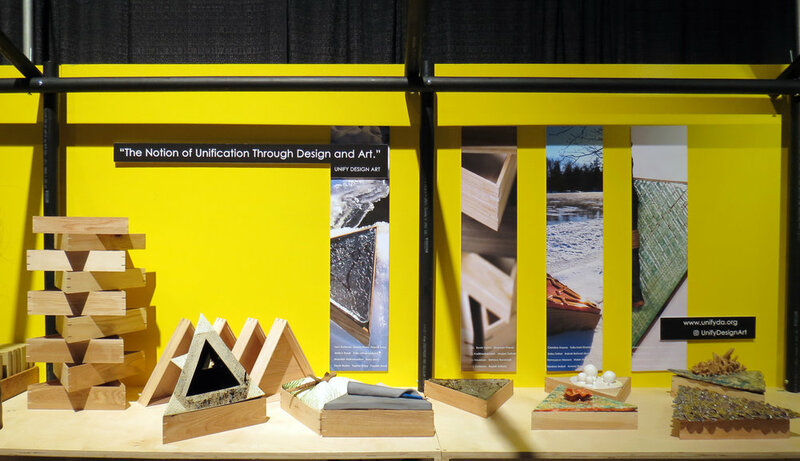 In the midst of an action packed, 4 day design show in the heart of Toronto, one group of talented and passionate young professionals managed to stand out in a sea of skilled artists and designers. We sent 7 sharp members of our Unify Design Art team to represent our community of 60 worldwide, networking with Canadian people, trade professionals and top shelf creatives, to get the name of our unified team on people's’ minds. Unveiling the products of our very first global collaboration, an impressive range of hand crafted functional art pieces, we proved to ourselves that even in just a few short weeks we can grow our community in incredible strength and even reach for opportunities like an exhibition space in an internationally renowned design show. With this success comes strong connections, lucrative opportunities and more outstanding creative minds flocking to the community to share in our vision and strength. In the wake of all of this attention the Unify team continues to look out for sharp minds, skilled creatives and strong team players, to join this global team; and further to extend our gratitude and praise to those outstanding members who participated in this first of many shows to come, truly proving that we can have no limit if we work together.